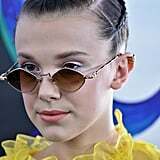 Millie Bobby Brown, 13-year-old breakout star from Stranger Things and quickly rising fashion superstar, hit the blue carpet at the Teen Choice Awards in a truly genius look. 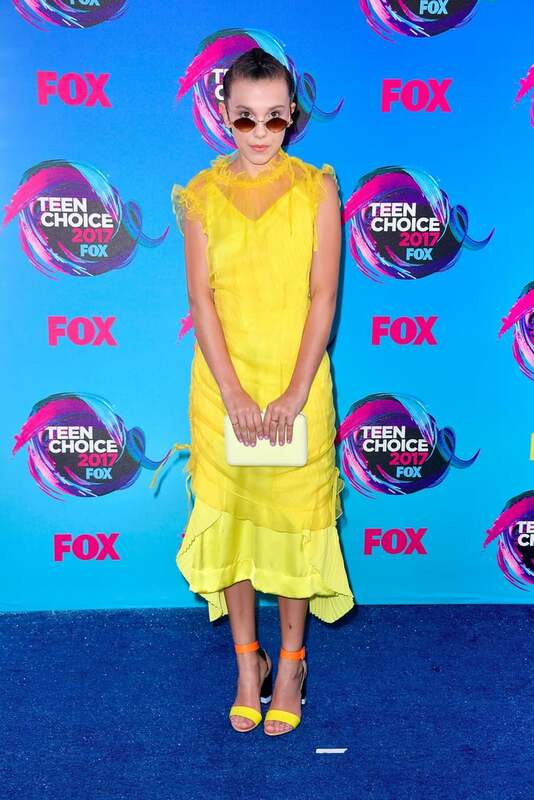 The mini icon chose a romantic yellow Kenzo dress with ruffled chiffon overlay, pleating, and ruching at the sides. 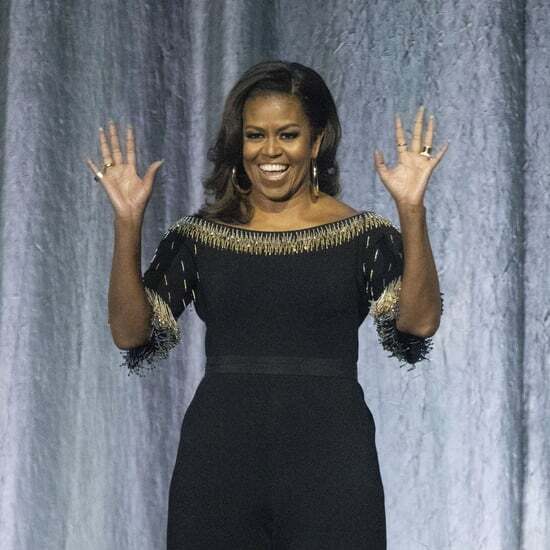 Though the details were aplenty, Millie pulled off the design with ease, even adding a round of popping, look-at-me accessories. Her Pierre Hardy colorblock heels were fun and playful, and her Judith Leiber clutch a nice touch, but her tiny, circular specs from Chrome Hearts were a clear throwback to the '90s, and we totally loved the reference. 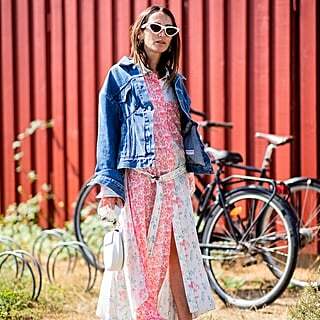 Read on to get psyched about one of the most lively outfits of the evening.